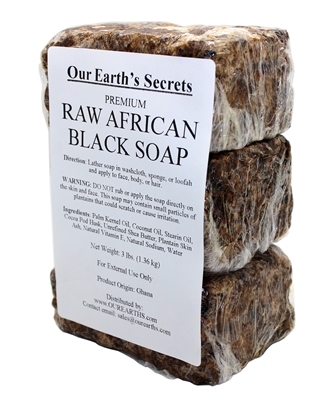 Premium Raw African Black Soaps helps deep clean your skin and works on most skin types including rough and dry skin or sensitive skin. It helps clear skin bumps and spots, helps relieve acne, oily skin, and other skin problems. It helps with acne or darkspot. It is also great for removing makeup.